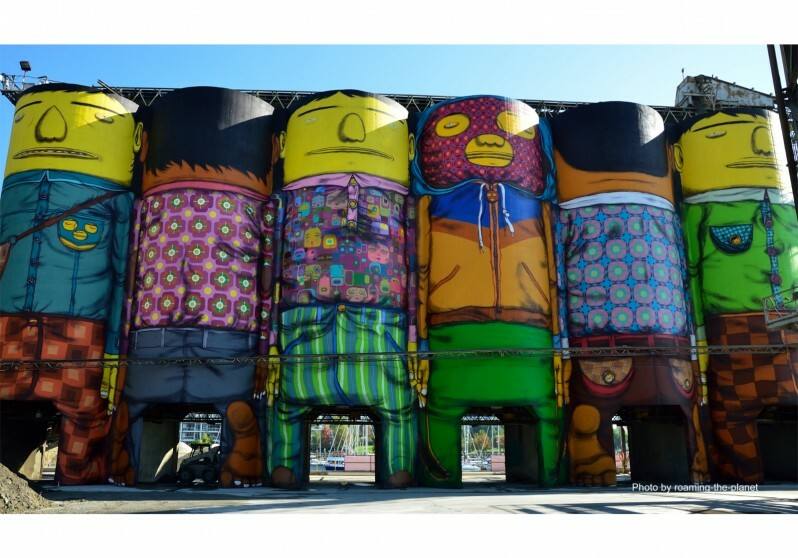 Dimensions (H x W): Each silo measures 21.3 x 11 m (70 x 35 feet). 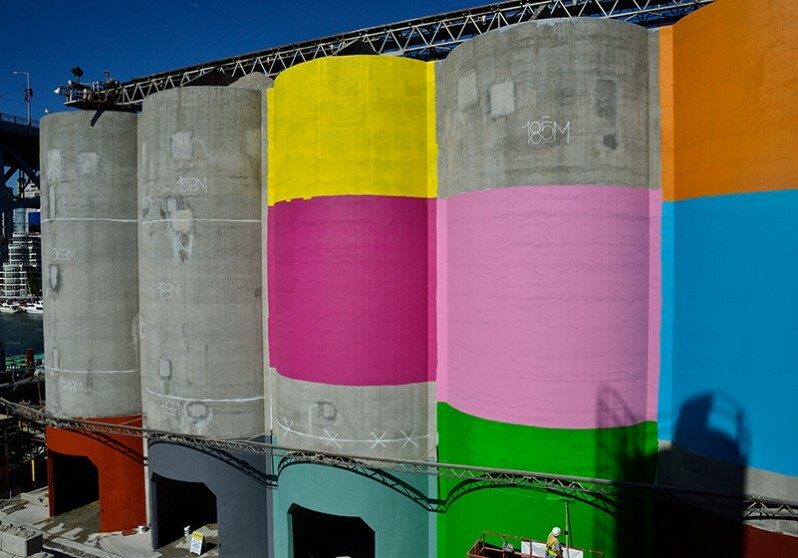 The total area of the six silos is 2,183 sq m (23,500 sq ft). 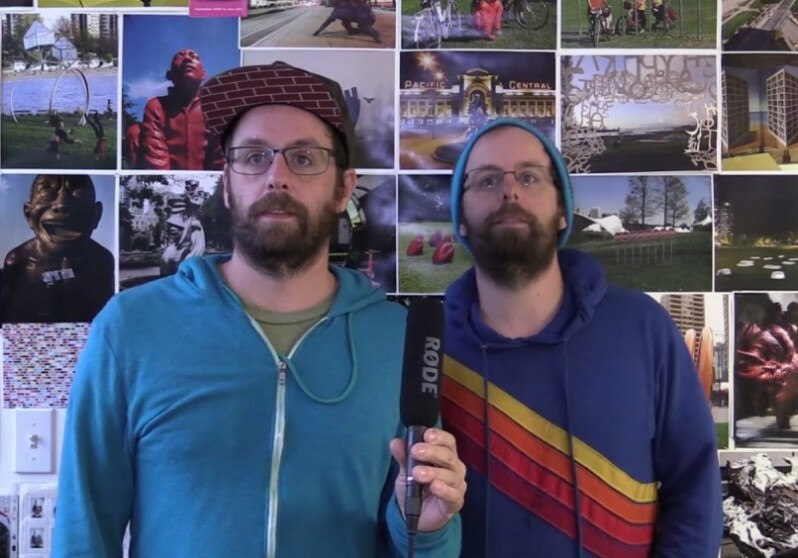 “The first challenge of this project was to find a location that would fit with our idea. 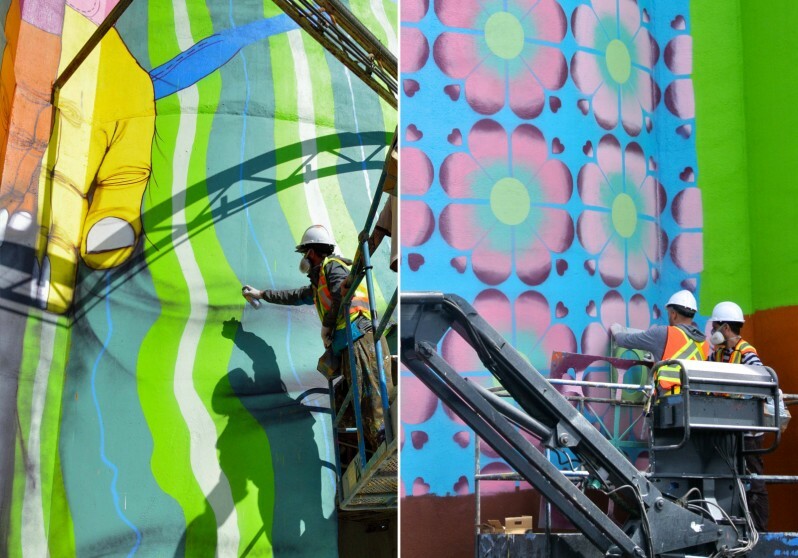 We did not want a conventional two-dimensional wall that we had done before: we wanted something different, special and unique. We have an ongoing project called Giants that has been realized in several places in the world such as Greece, USA, Poland, Portugal, the Netherlands, Brazil and England, and we will continue now in Canada, but with a difference. 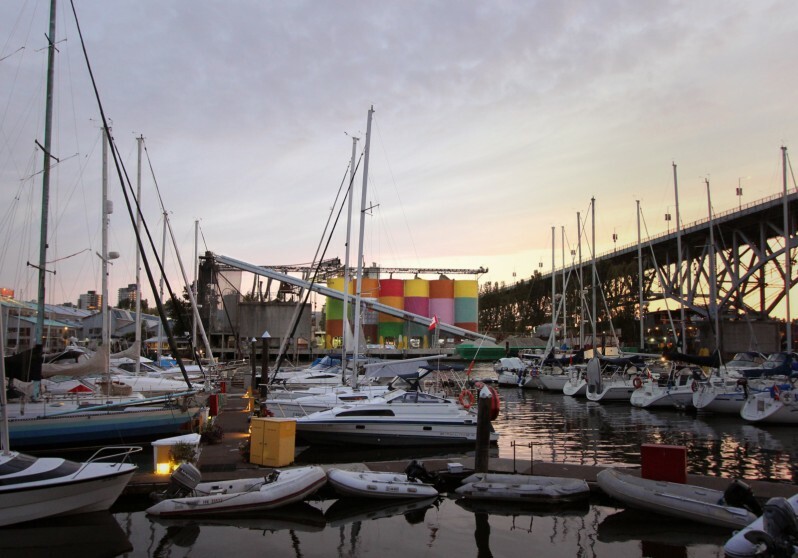 As the proposed Biennale has a strong connection with sculpture, we decided to find a place where the painting can be transformed, creating a dialogue between the two-dimensional and three-dimensional worlds. 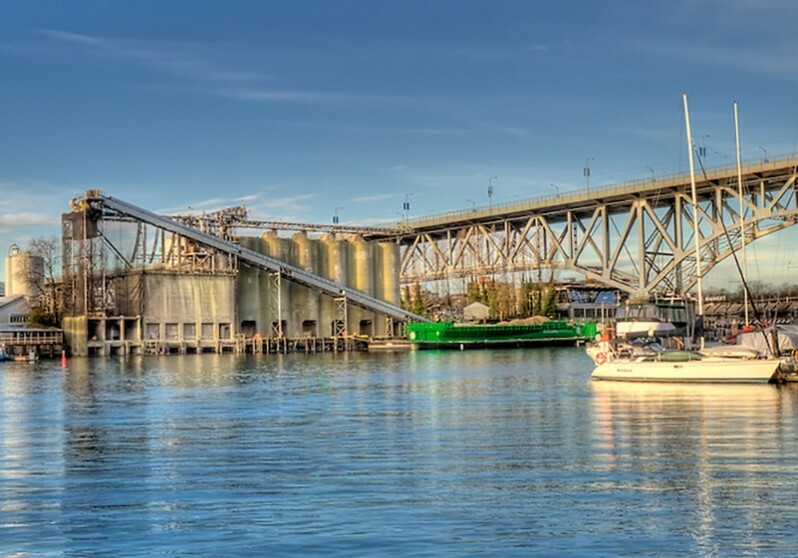 Another aim of this project is to bring new characters to Vancouver while sharing perspectives and cultures and establishing a relationship between the people who frequent this site and integrate this work into the city scenery. 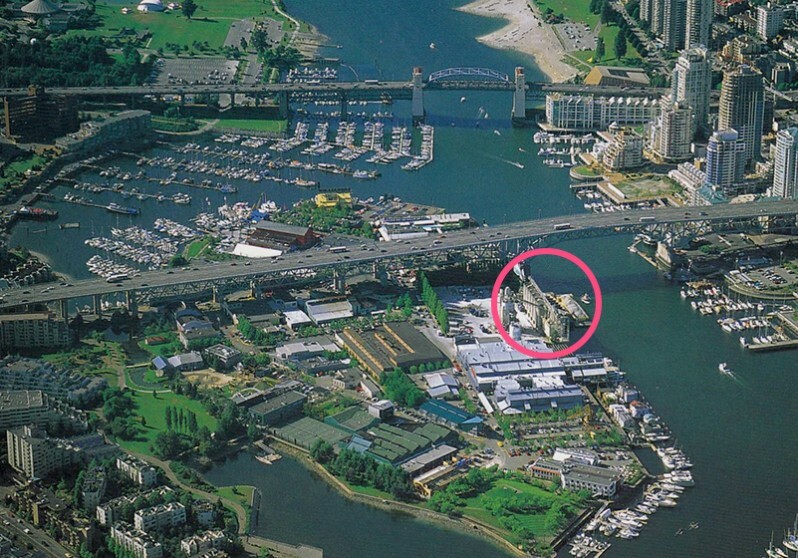 The connection between water and land on Granville Island, on the False Creek margins, also had a lot to do with the choice of location. 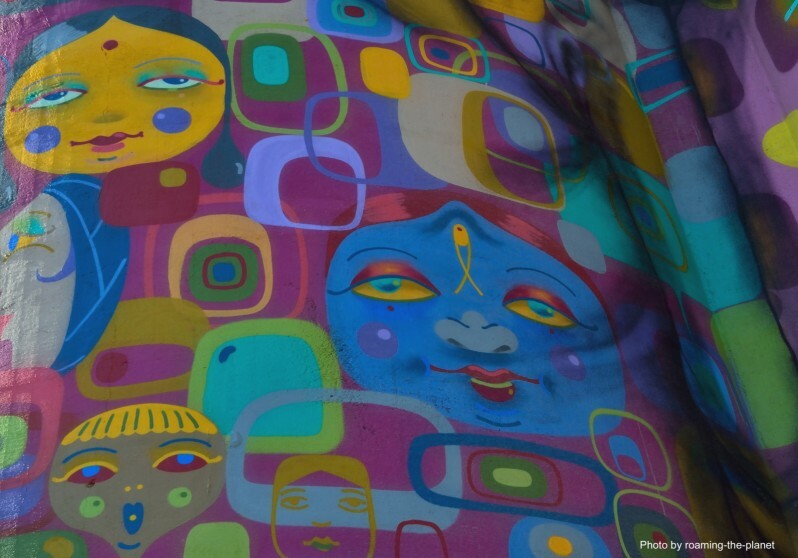 For us, the water acts as a vein, symbolizing life, and it is very present in our work.”- OSGEMEOS. 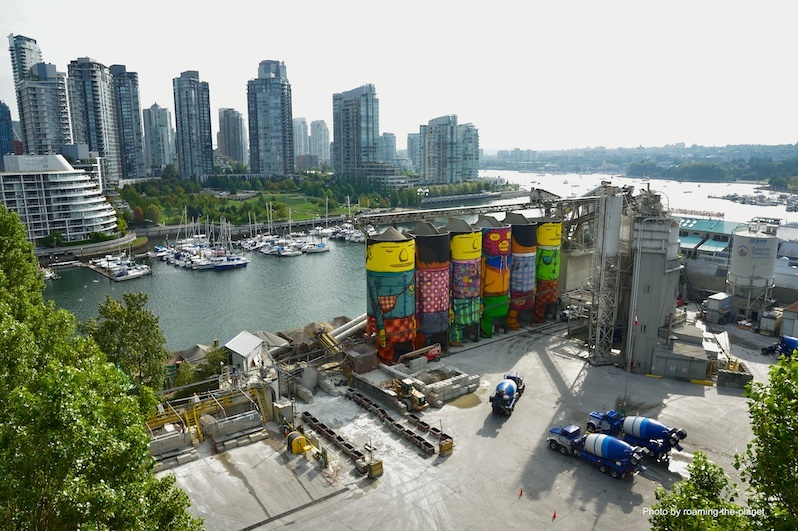 The Vancouver Biennale has transformed a Granville Island industrial landmark into a gigantic work of public art. 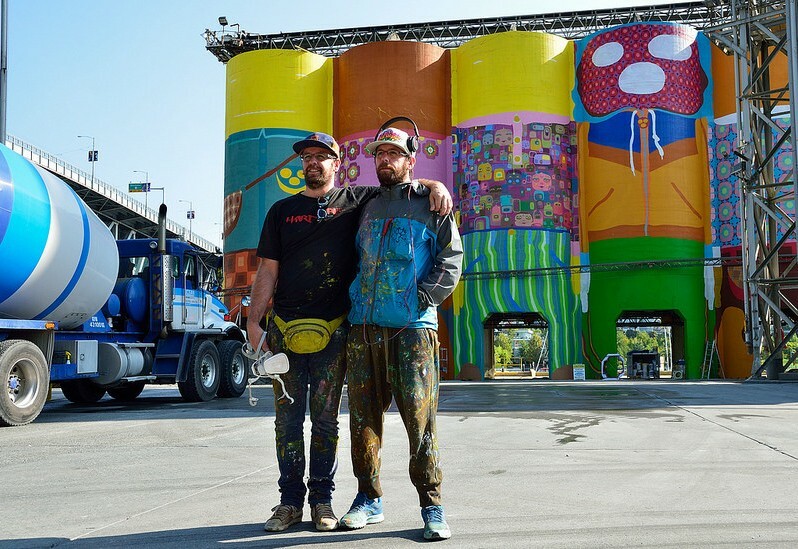 OSGEMEOS created Giants, a 360-degree, 21.3-metre- (70-foot-) tall mural, the biggest public mural of their career and their public artwork debut in Canada. 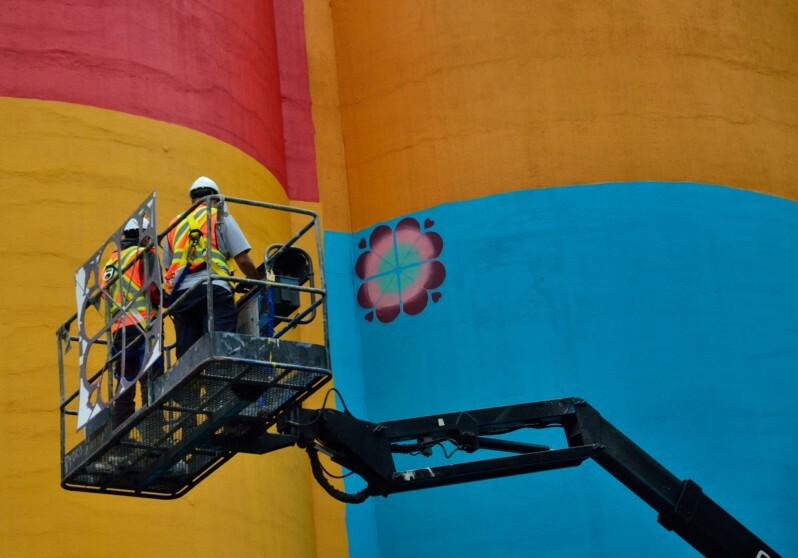 The mural, which measures a colourful 2,183 square meters (23,500 square feet), was created on the six gigantic silos that are part of the Ocean Cement manufacturing and distribution plant on Vancouver’s Granville Island, alongside the world-famous Public Market, Emily Carr University, and boat docks that attract 10.5 million visitors per year.